This week I am sharing my Nikkei recipe for Prawn Moqueca & Coriander Rice Donburi. This is a super easy and quick recipe to put together, and ideal for any special occasions or as a weekend treat. Jacqui Small Publishers are offering 1 copy of my cookbook Nikkei Cuisine: Japanese Food the South American Way to 2 readers of The London Foodie, so 2 copies in total. The prize includes free delivery within the UK. See further details of #NikkeiCookbookCompetition below. First, prepare the Japanese steamed rice. Wash the rice in a bowl with plenty of fresh water using a circular motion with your hand. Drain the water and repeat three or four times until the water runs clear. Transfer the rice to a sieve and let it drain for 15 minutes. Next, transfer the rice to a bowl and soak it in the water for 30 minutes or up to 4 hours (the longer the soaking, the wetter and stickier the rice will be). Rice cooker method: when the soaking time is up, add the rice and soaking water to the rice cooker bowl, close the lid and turn it on. It should take approximately 15–20 minutes to cook. Once the rice cooker’s alarm beeps, let the rice rest in the unopened rice cooker for at least 15 minutes before serving. Pan and stove method: choose a pan with a tightly fitting lid (preferably of glass) and with a small ventilation hole for some of the steam to escape. When the soaking time is up, add the rice and soaking water to the pan, place the lid on and bring to the boil (a glass lid will allow to see when the water comes to a boil). As soon as it boils, turn the heat to its lowest setting and simmer gently for 15 minutes. Do not remove the lid at any stage during cooking or resting. Take off the heat and let the rice rest for a further 15 minutes before serving. Once the rice is cooked and before fluffing it, make a green coriander salsa by mixing in a bowl the extra virgin olive oil, salt, juice and fine zest of a lemon, crushed garlic cloves and finely chopped coriander. Fold the coriander salsa well into the cooked rice. Leave a comment in this blog post. 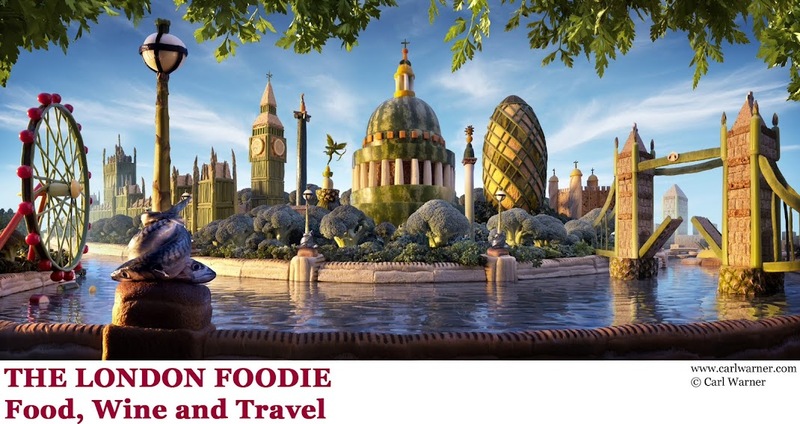 If you do not follow @thelondonfoodie on Instagram, you must do so before entering this competition. Then post a picture of a Nikkei dish attempted by yourself at home using the hashtag #NikkeiCookbookCompetition. 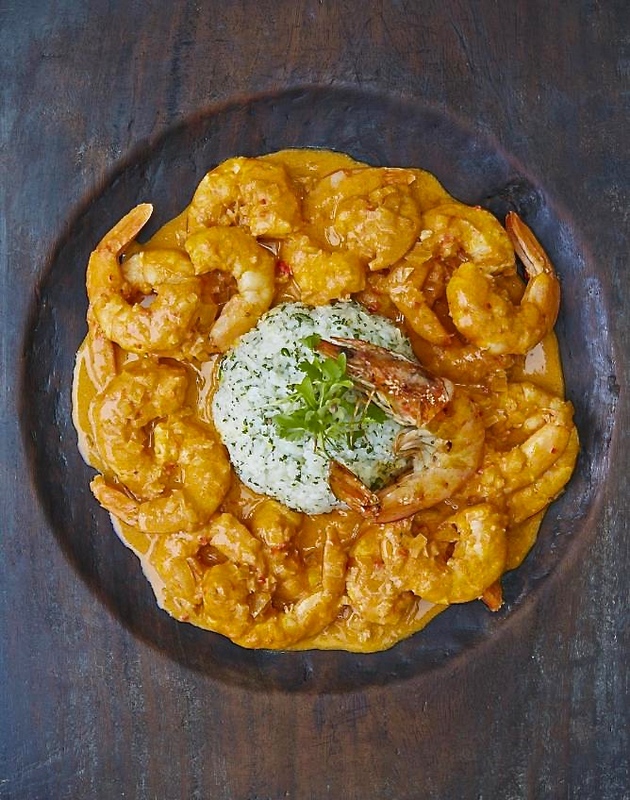 You can attempt the Prawn Moqueca recipe in this blog post, or perhaps the Salmon Tiradito with Passion Fruit Leche de Tigre, or if you prefer cooking something else, just google 'Luiz Hara Nikkei Recipes', there are a few other options available by other online publications. The deadline for entries is midnight GMT Saturday 12th December 2015. The winner will be selected from all valid entries using a random.org. 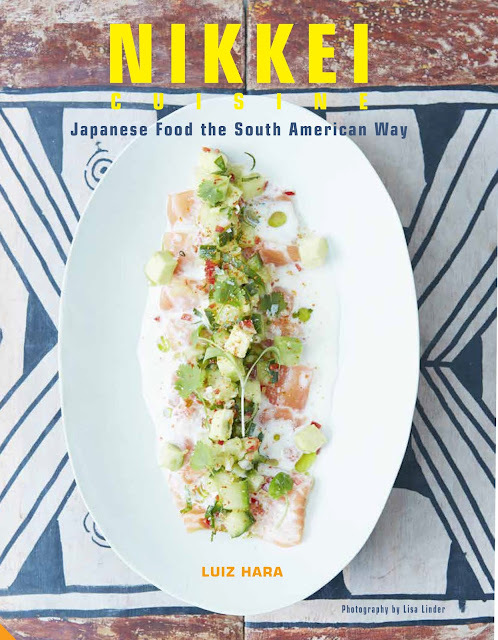 Each (of two) prizes is a copy of Nikkei Cuisine: Japanese Food the South American Way published by Jacqui Small. The prize includes delivery within in the UK. We cannot guarantee a pre-Christmas delivery date. The prize is offered and provided by Jacqui Small. One blog, Twitter and Instagram entry per person only i.e. a maximum of 3 entries per person. You can triple your chances of winning if you enter on all 3 platforms. For Twitter and Instagram entries, winners must be following @thelondonfoodie at the time of notification. Blog comment entries must provide a valid email address for contact. The winners will be notified by email, Twitter or Instagram so please make sure you check your accounts for the notification message. If no response is received from a winner within 3 days of notification, a new winner will be picked and contacted. Where prizes are to be provided by a third party, The London Foodie accepts no responsibility for the acts or defaults of that third party. THE WINNERS OF THIS GIVEAWAY, RANDOMLY SELECTED VIA RANDOM.ORG WERE: @VI_WOO (VIA TWITTER) AND MARTINE CARTER. Thanks everyone for entering the competition! I would love to win a copy of your book! We'll try to prepare the Prawn Moqueca with san marzano tomatoes. What do you think Luiz? I often work in Japan, and a Mexican chef actually just won a prize in the "Washoku" World Challenge - what better way to celebrate Japanese fusion cuisine? I'd love to win this book! Looks great and will give me more things to cook that are not in a jar. Fell in love with moqueca in Salvador de Bahia - would love to win this book. If I win this book, getting fat will be worth it. I would love to win a copy pls! This sauce is out of this world! Delicious!